Javier Nuñez has been described by critics as a virtuoso harpsichord player, extraordinarily expressive and endowed with a particular taste for ornamentation. He has given solo recitals at festivals like Oudemuziek in Utrecht (Holland), the FeMÀS in Seville (Spain) or the International Festival “Harpsichord, live art” in Belgrade (Serbia). 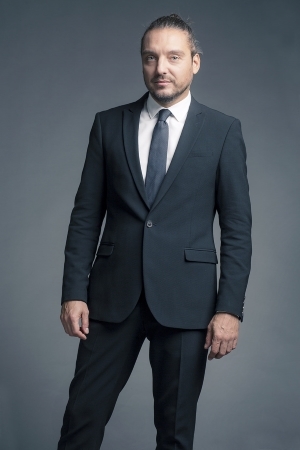 As a member of groups such as Accademia del Piacere (Fahmi Alqhai), L’Estro d’Orfeo (Leonor de Lera), More Hispano (Vicente Parrilla) and I Fedeli (Josué Meléndez), Javier Núñez has performed worldwide at the most prestigious venues. Besides his participation in joint projects with cellist Asier Polo and ensembles like the Skàlholt Quartett (conducted by Jaap Schröder) or the OBS (Seville Baroque Orchestra), he usually plays a duo with viola da gamba player Fahmi Alqhai. In the same way the harpsichord player has also been invited as a soloist by the Orquesta Ciudad de Granada (conducted by Vittorio Ghielmi), the Simfònica de les Illes Balears (both located in Spain) and the Kammersveit Reykjavíkur (Iceland). Javier Núñez has numerous recordings for both radio (RNE – Spain, WDR3 – Germany, Ö1 – Austria and RUV – Iceland) and record labels such as ARCANA (his brand-new solo CD BACH AFFECTUS, a personal selection among some of the most touching harpsichord pieces composed by JS Bach), CARPE DIEM, PAN CLASSICS, CHALLENGE RECORDS, RUBICON CLASSICS, PASSACAILLE, CANTUS (his first solo recording à modo Italiano, with Neapolitan harpsichord music from the XVI and XVII centuries, which has received the best reviews), GLOSSA and LINDORO. Born in Seville, Javier Núñez specializes in harpsichord at its Conservatory. In 1997 he initiates his studies in the Koninklijk Conservatorium of the Hague (Holland), as a harpsichord student of Jacques Ogg, where he obtained his Soloist Diploma getting the highest grades. He later attends master classes with renowned harpsichord player and organist Davitt Moroney, from whom he receives very valuable advice. Javier Núñez has held the position of harpsichord, basso continuo and chamber music teacher at Palma de Mallorca Conservatory of Music from 2007 to 2013.